Here’s what I love about literature; when there’s not one but two options that propel me through the exploration of a writer’s story. It gives me options, varied yet similar journeys, and choice. I love choice. I also love when I get to meet an author and hear him speak about his story; both in the writing and in his account of the events. What better way to be introduced to another’s extraordinary life? And, an extraordinary life it is. 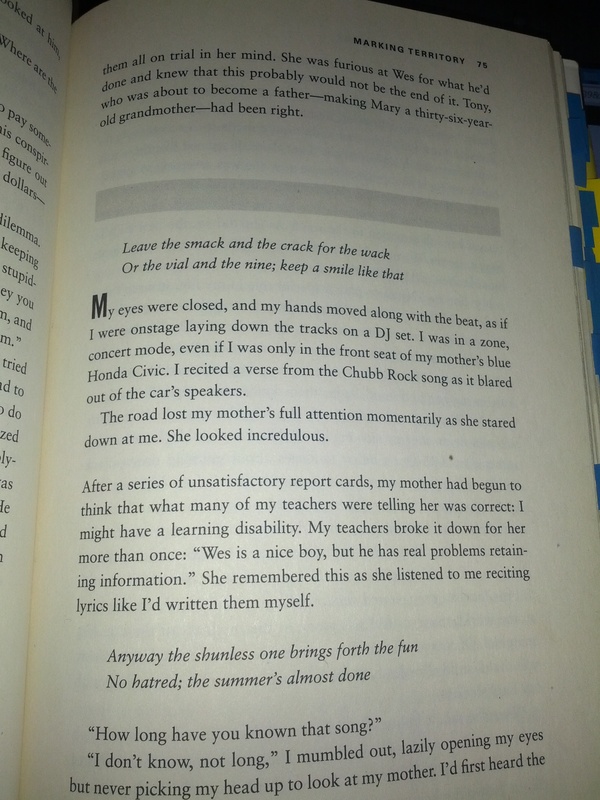 In The Other Wes Moore by Wes Moore, upon realizing that Wes was not the only Wes Moore residing (as a youth) on the streets of Baltimore, he felt compelled to connect with the other man sharing extraordinary similarities; the same name, fatherlessness, and navigation through the world the best way they knew how. And, so the story begins. By taking a leap of faith and contacting the other Wes Moore (while jailed for a crime that put him behind bars for a lifetime without parole) Wes opens the door for connection, dialogue, and an unbreakable bond. Human connection at its core. 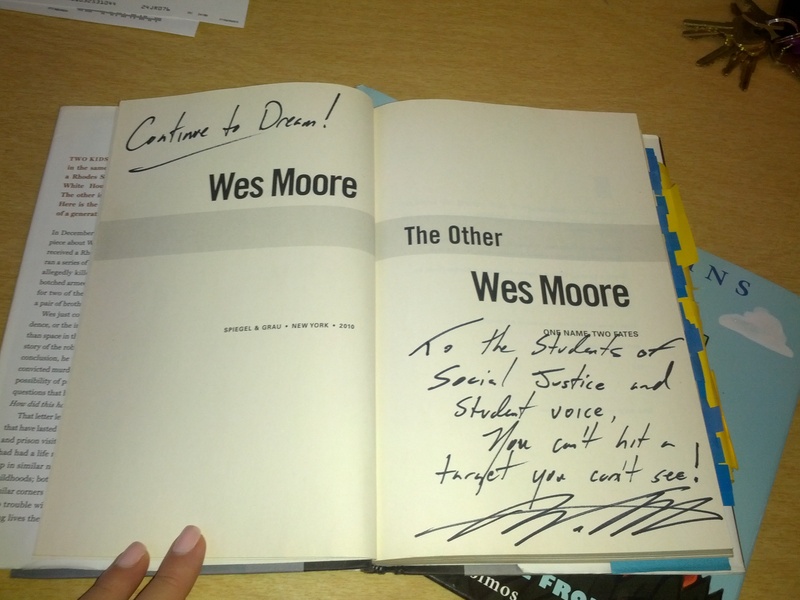 In The Other Wes Moore, I introduce students to the significance of the dividing gray line – the shift from Wes Moore to the Other Wes Moore (and vice versa). That’s all I share with students when introducing them to this piece. And then the questions swirl: Wait! What do you mean they have the same name but live such different lives? Does the other Wes answer Wes’s request to communicate? Wes visits the other Wes in jail, huh? What does he mean when he says (compliments of the cover), “The chilling truth is that his story could have been mine. The tragedy is that my story could have been his.”? If he’s not in jail, how could it be a tragedy for the other Wes Moore to live Wes’s life? This is wild! And now, Discovering Wes Moore (the Young Adult adaptation) provides access to readers who are intrigued by (as the title suggests) discovering Wes Moore, the author. This piece brings readers through the linear journey of the author’s life, struggles, ah-has, life choices, and incredible realizations. Here’s what I love about this piece, students do not enter into the potential complexity of following two stories interwoven; they simply get to focus on one story line. For readers who are interested in autobiographical narratives, this provides them access to a story not to be missed. Some students enjoy reading both pieces simultaneously by the means of an author study; while others enjoy choosing only one piece to explore. Students of all reading levels and interests find themselves consumed by these pieces – the craft, reality, and unbelievable story that is oh-so-honest. 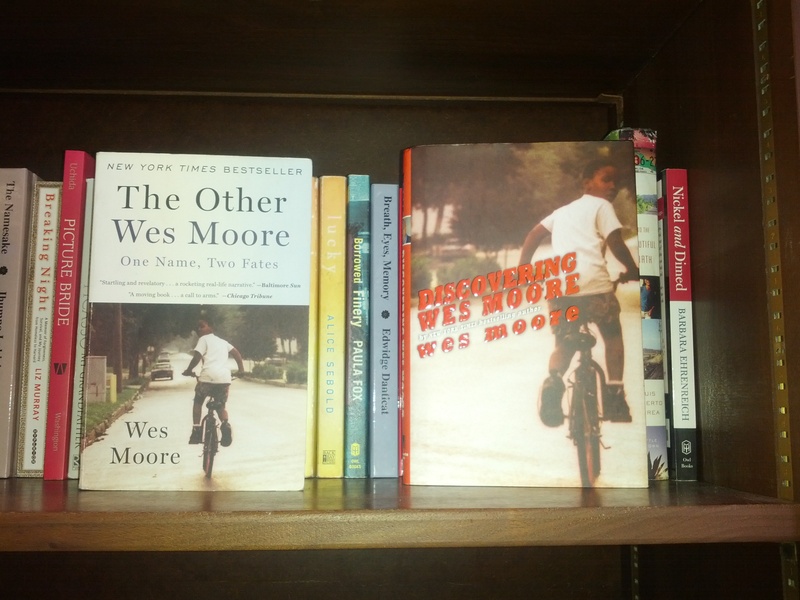 The Other Wes Moore and Discovering Wes Moore are continually transient. They don’t stay on our shelves for any extended period of time. As soon as students realize they’re back and available for the taking, they do just that while others’ Next-To-Read lists grow. I love that both Wes Moores find themselves in the hands of inquisitive learners because, to date, not one student reader has been untouched by their story. ← Writing as Punishment? Oh, the Nerve!